Where is Australia's Best Island? Islands; just the word islands, conjures up beach images, relaxation and fun in the sun. Australia has some of the best islands in the world, but where to begin? You can explore the undersea extravaganza of the Great Barrier Reef, settle into a secret hidden cove or climb to the top of a sea side cliff. As Australia is often called an island, you can even watch the sun rise over the beautiful Uluru in central Australia. But did you know that there is a whole lot more to Australia then just the mainland and I'm not talking about just the island of Tasmania. Tasmania, or the Apple Isle, may be the biggest and the most well known, but Australia has more than 8200 islands within its Maritime borders. My family and I always enjoy Kangaroo Island. You can catch the car ferry from Cape Jarvis, just south of Adelaide across to Kangaroo Island. Even the journey across is lovely with access to a beautiful variety of seals, birds and dolphins depending on the day and season. Arriving on the island the wildlife is quite spectacular, with many, many kangaroos, echidnas and koalas. The pelican feeding at the shore is always good fun too. 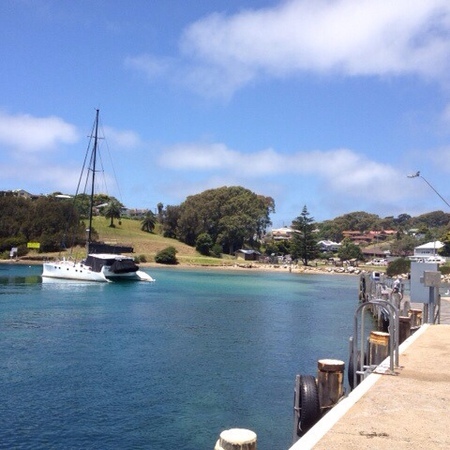 However Kangaroo Island also has great swimming, surfing snorkeling and diving and some fabulous bushwalks. 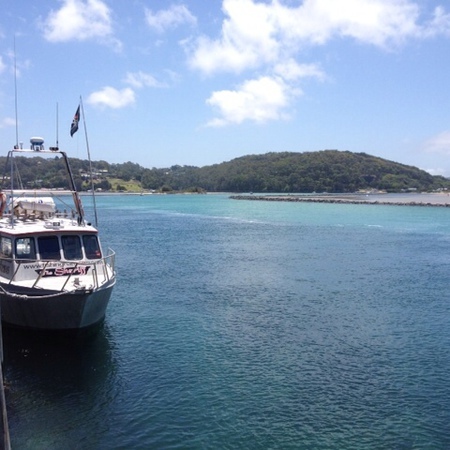 You can camp, stay in a cabin, beautiful B&B, beach house or self-contained cottage.Sealink operate three ferries each way daily between Cape Jervis and Penneshaw. Bruny Island is a little bit like Tasmania with great scenery and a wonderful food lovers trail. It is located of the south east coast of Tasmania. 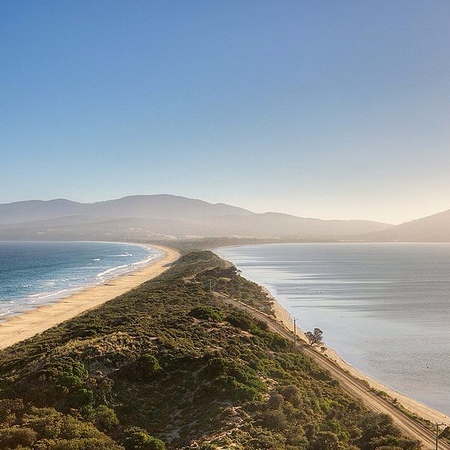 Filled with empty pristine beaches and peaceful wilderness walks, Bruny Island is also famous for cheese, oysters and smoked seafood, which is all produced here along with a glass or two of Australia's lovely wines. An amazing and really unique island, Fraser Island is created from sand drifting off the coast north of Brisbane. It is actually the largest sandbar in the world and it is the only place where you can find a rainforest growing on the sand. In 1992 ,UNESCO added it the World Heritage List. 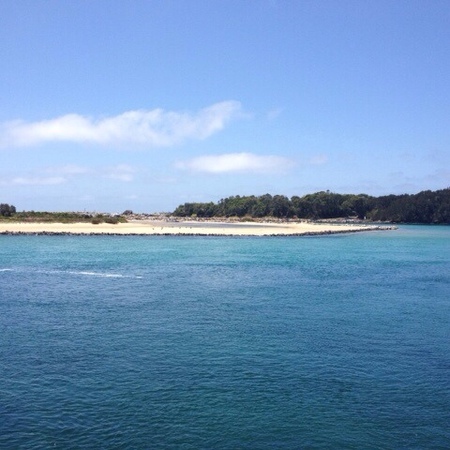 Fraser island is filled with all sorts of birds animals and marine life. You can take a Fraser Island Great Walk and the 90 km multi-stage trail will take you from the interior tropical rainforest to the blue lakes and beautiful shifting sand dunes. Much loved by Australians as a tourist destination is the Whitsunday Islands. Whilst it is not one island, it is a beautiful tropical cluster of more than 90 islands all in the coast of Queensland. The Whitsunday Islands are within the Great Barrier Reef World Heritage area which extends all the way from Cape York in the north of Bundaberg through to the south. 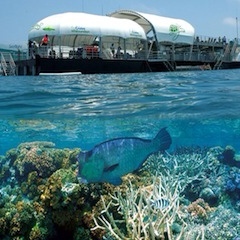 Many tour operators work in this area and you can book sailing trips, snorkeling and some wonderful beach holidays. Many people say Whitehaven Beach, located in the Whitsundays, is one of the finest in Australia. If you love all things dairy, you're certain to have a great desire for King island. Famous for its amazing King Island cheeses and King Island cream. It is a beautiful green pastureland that would look perfect in any landscape poster. After a long day at the beaches and pounding surf beaches of King Island, kicking back with a glass of wine and some beautiful brie may be just the ticket. King Island airlines fly to the island from Moorabbin in Melbourne and also flights will arrive from Tullamarine, Devonport and Hobart. We would love to hear about your favourite island around Australia and your adventures. please leave a note in the comments box below to share with us your favourite island around Australia, we look forward to hearing your thoughts.